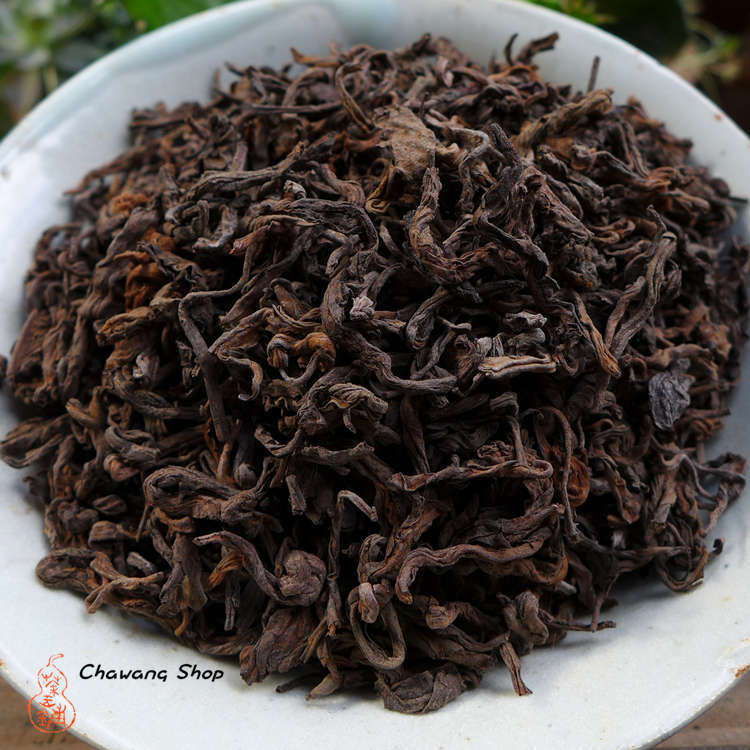 Ripe puerh from Menghai area, produced in 2001, packed in wooden boxes with hemp wrap outside. Selected 5th.grade leaves from spring harvest. It's now already marketed as 3th.grade or probably "gushu ripe puerh tea". Stored in Guangzhou in third floor of large warehouse. We kept the tea for more than half year after opening the wooden box to airing the tea a bit in dryer place before selling it. Aged for more than 15 years, the taste is mellow and sweet, with some unique aroma and taste profile.